Exoarchaeologist Evan McElroy has made a discovery about a long-extinct alien race. But his sponsors realize they can make huge gains if the new findings are kept completely secret. Step one of their plan is to kill the entire research team - starting with Evan. As Evan flees for his life, his trajectory awakens a long-buried struggle. The Infoterrorists, who believe all ideas are screaming to be free, have waited years for the right moment to take on the seven great families that control all of civilization. This could be their opportunity. Or, it could be time for millions to die. The Great Symmetry is classic science fiction from the great-grandson of H. G. Wells. The best dystopian novels bear a strong resemblance in some way to the present day. James Wells’ The Great Symmetry opens with Evan McElroy escaping with a stolen secret from the archaeological remains of the Versari in a future that feels all too reminiscent of today. Like The Matrix, or Logan’s Run, we’re drawn in as the protagonist eludes his former employer who seems to be willing to go to any ends to exterminate him. A dual narrative follows back and forth between Evan and his pursuers, Arn Lobeck and the Affirmatix corporation. Wells manages to pull off the suspense, the narrative structure, and an intriguing dystopian vision. 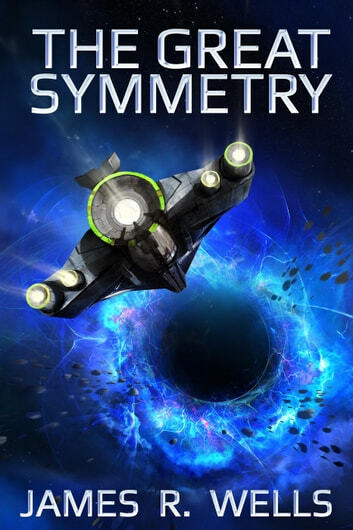 Over the past three years I’ve read three science fiction books: The Hunger Games, Ancillary Justice, and The Great Symmetry. The Hunger Games sold a bazillion copies for a good reason. Ancillary Justice won the Hugo, Nebula, and Arthur C. Clarke awards. James Wells’ The Great Symmetry is right up there with these books in terms of its depth and how much I enjoyed it. A great dystopian adventure highly relevant to today, this was a splendid read for a first book. Wells has a unique voice that I hope to hear more from in coming years. I read 98% non-fiction, so this is a rare exception in my reading routine. James Wells' book is extremely well written, an excellent story and tight plot-line, exciting, suspenseful, and a metaphor for the evolution of capitalism. If you ever wonder what the outcome of continuing deregulation (with a small consideration for livability), endless tax reductions and other subsidies for corporations, and especially handing over the reins of power to the corporate world would look like, read this book. The future without significant adjustment looks frightening. I highly recommend it. This was a real page turner, beginning in the middle of a high speed chase and gradually introducing the back story of the exoarchaeologist hero. The story ponders the consequences of allowing corporations to dictate the production of food, the distribution of wealth, the transportation of goods and people across galaxies, the deliberate maintenance of scarcity, and even the definition of reality. But what I especially loved were the detailed descriptions of cave interiors found on the hero's home world - the author's own passion for caving comes through loud and clear. An engrossing read. Out of frying pan, into fire, out of fire and into supernova our hero with limited resources must out think corporations with massive resources, no qualms about killing massive numbers of people and a lot to lose if our hero is able to tell the universe what he discovered. If you like a book where the hero has to think his way out of trouble instead of shooting a bunch of faceless drones with impossible accuracy and omniscient knowledge then this book is what you are looking for. If you like strong, smart and resourceful female characters then this book is what you are looking for. If you are looking for a roller coaster ride of troubles to face your heroes as they try to make it to the next day, heck the next hour, then this book is what you are looking for. The Great Symmetry is a great fun read even if you want to ignore the moral lesson of giving corporations too much power. Excellent characters and engaging story! 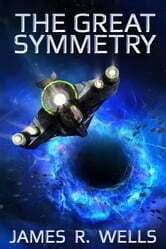 The story of the Great Symmetry kept my attention and I wanted to find out how it would all unfold. I hear a sequel is being worked on and am excited for that. Mr. Wells's world and character building ability are very well done. I am excited for the characters to learn more about the Versari and to travel through uncharted glomes to new worlds! Maybe the Versari aren't all gone? ?